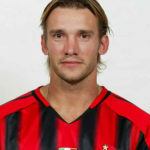 Andriy Shevchenko is a politician, football manager and retired Ukrainian footballer who played for Dynamo Kyiv, Milan, Chelsea and the Ukraine national team as a striker. From February to July 2016, he was an assistant coach of the Ukraine national team, at the time led by Mykhailo Fomenko. On 15 July 2016, shortly following the nation’s elimination from UEFA Euro 2016, Shevchenko was appointed as Ukraine’s head coach. "My fitness is good. I hope to improve it even further during training." "I would like to thank everyone who supported me to be fit for the Euros. I had some fitness problems before the tournament, but I am here now!"